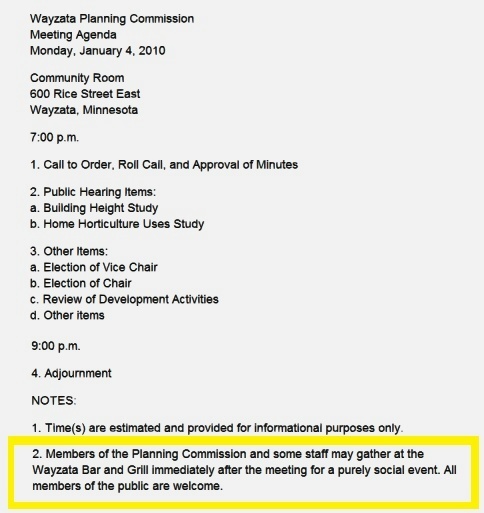 Spotted this agenda for last night's meeting of the Wayzata, Minnesota, Planning Commission -- note the area I've highlighted in yellow. 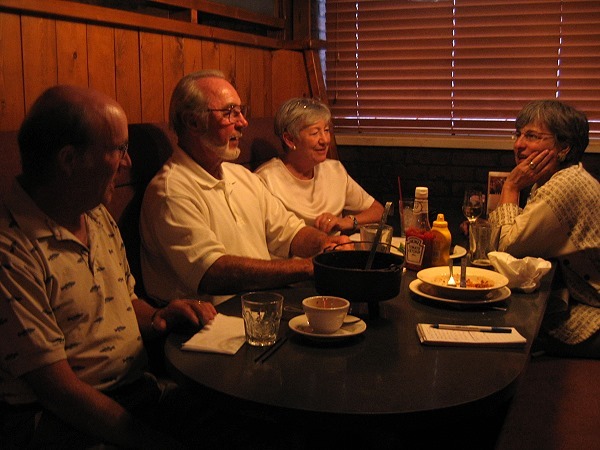 Does your community's planning commission get together after its meetings for some informal conversation? Do you also note it on your agenda & invite the public? Both are probably good ideas. Interestingly, the Wayzata Bar & Grill is a municipally-owned bar and restaurant. Had never heard of a municipally-owned pub before, but it looks like a great place to eat and meet! Members of the Montrose, Colorado, Planning Commission unwind at the Red Hen after their meeting. "After the meeting, I had the chance to join the commissioners for some food, drinks, and conversation at the Red Barn. That's another practice I highly recommend -- and something I enjoyed while serving on the Burlington, Vermont, Planning Commission in the 1990s! Its a chance to unwind, and build a sense of camaraderie among members of the commission."